I have been thinking about it for months and it will soon be a reality. I am cutting way back on my administrative job in January to be able to paint full time (and teach a little bit). The prospect of not working for a regular pay check is a little scary but as my friend Amy said to me, “If you’re going to be an artist you have to be brave. I drive through this intersection at least twice a day on may way to and from my day job. 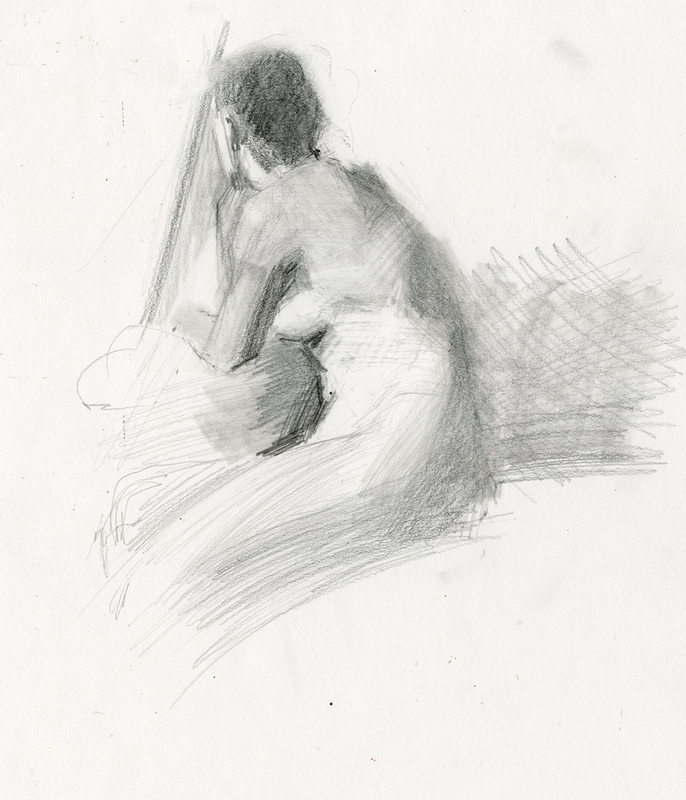 And the newest life drawing group in the valley is over at Atelier LaRose – Steven put together a successful kickstarter campaign to hold free life drawing sessions open to anyone. They are kind of a free for all – models swing from the rafters, lighting comes from several directions, and of course, these sessions are totally fun. Congratulations on your decision, not an easy one to make! 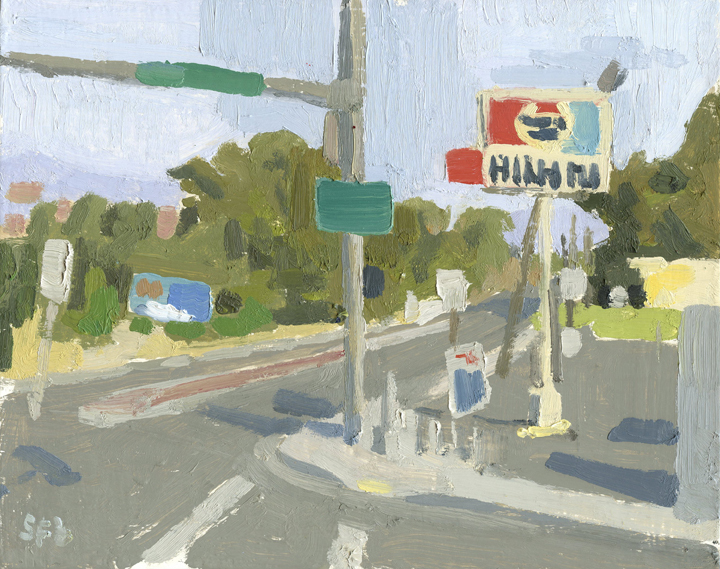 I like how minimalistic that painting is in terms of brush strokes (or so it seems). Your sketches are sweet by the way. You always do those after a live model?